The health care system in Nepal is in a delapidated state. 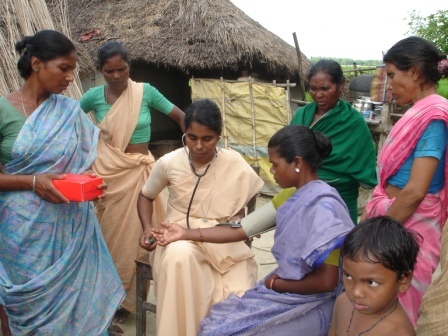 Due to poverty and poor access to health facilities many people suffer from avoidable and easily curable disseases. 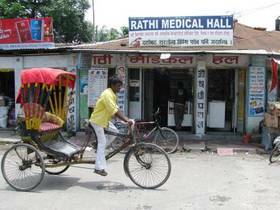 85% of Nepal is rural and these areas have much worse health indicators than urban areas. Nepal has some of the worst figures in the world for women and children dying in childbirth, lack of contraceptive use and specific vitamin related malnutrition. Maternal and infant mortality are linked to young pregnancies, lack of antenatal care, no trained assistant at delivery and poor post natal follow up. HIV and other sexually transmitted infections are increasing rapidly. Sirsia is located in Morang district in the Terrai region. It is a densely populated area with a majority of underprivileged people belonging to traditionally backward communities. The Don Bosco Rural Development Project facilitates health care activities with 10 para medical teams of mid-wife and qualified nurse. In Sirsia there is a dispensary and an in-patient ward with beds for treatment and training. The country’s burden of disease is largely a consequence of the high levels of poverty and a result of infectious diseases. Despite greater availability of health resources and positive socio-economic developments inequities in health continue to persist. Malnutrition remains problematic with ¼ of children under the age of 5 being underweight. 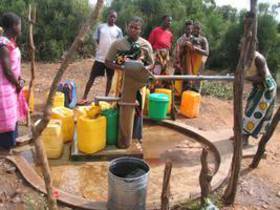 Only 36% of the population has access to safe water and 46% access to adequate sanitation. Only 36% of people have access to a health facility within 30 minutes of their homes. About 30% of the population are not able to access health services and only 50% have access to an acceptable level of health care. Among the top contributors to the country’s disease burden are malaria, diarrhoea, HIV/AIDS, respiratory infections and tuberculosis. The maternal mortality rate which was once considered one of the highest in the region has over the past five years declined.